We pushed ourselves relentlessly and often set unrealistic and crazy deadlines. 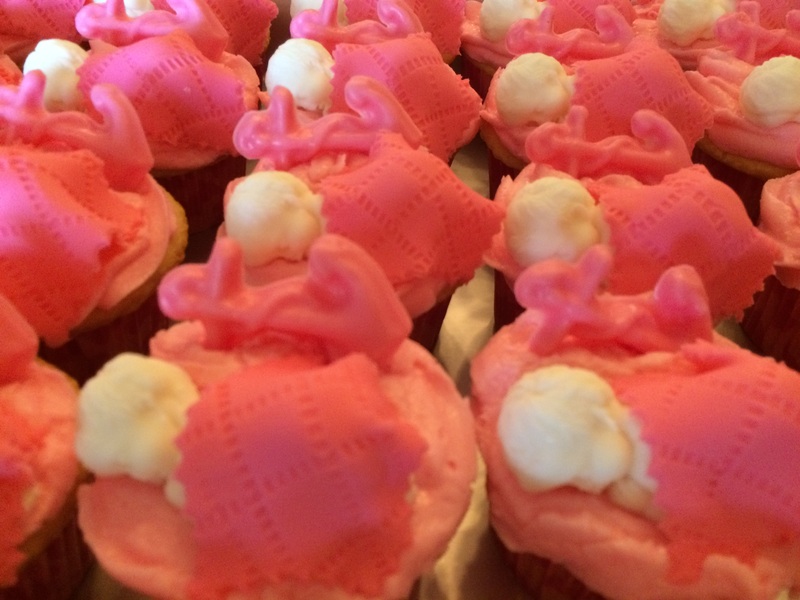 But we promised our daughter we would have her gender reveal party in our new home. The party was scheduled for July 1st. It seemed like a good idea several months ago. And it was. And we did it. Not sure how, but we did. The last Monday in June our daughter, son-in-law and our adorable granddaughter drove to Texas. Scarlette is our little ray of sunshine and inspires me to take selfies. I’d like to say we slowed down. And maybe we did. A little. But Jon wanted to get our back deck built for the party. 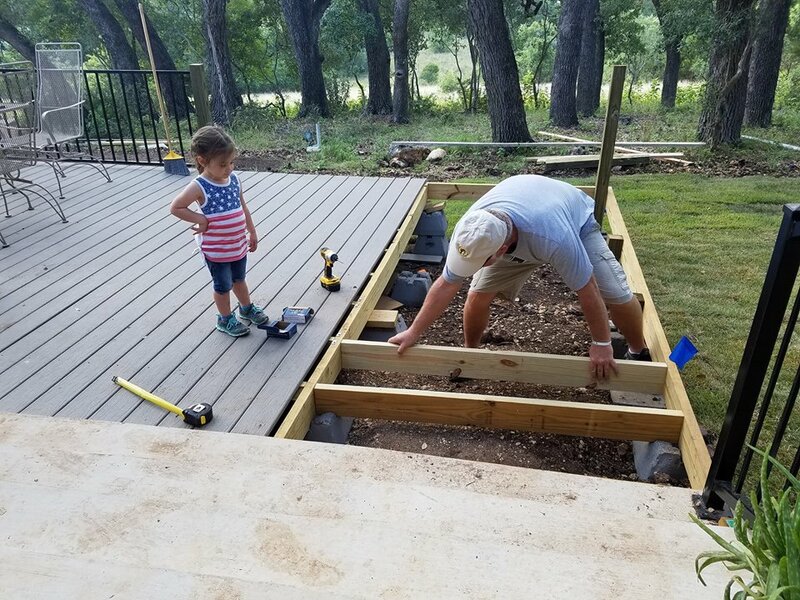 So, with the help of son-in-law, Jarred, Jon’s dad, and later in the week after Jarred’s family drove in from Mississippi, Jarred’s dad and brother, they built a deck. Or most of one. It wasn’t quite finished for the party, but enough for some table and chairs, providing additional outdoor space that wasn’t on the yard. Because the yard wasn’t quite ready for guests. Rain delayed the sod but organic dirt had been delivered and spread the day before the party. It just wouldn’t have been complete without the smell of cow pasture. Baby brother or Baby sister? Saturday afternoon, our home filled with family and friends for a time of food, fellowship and fun. Which is exactly why we designed our home the way we did. 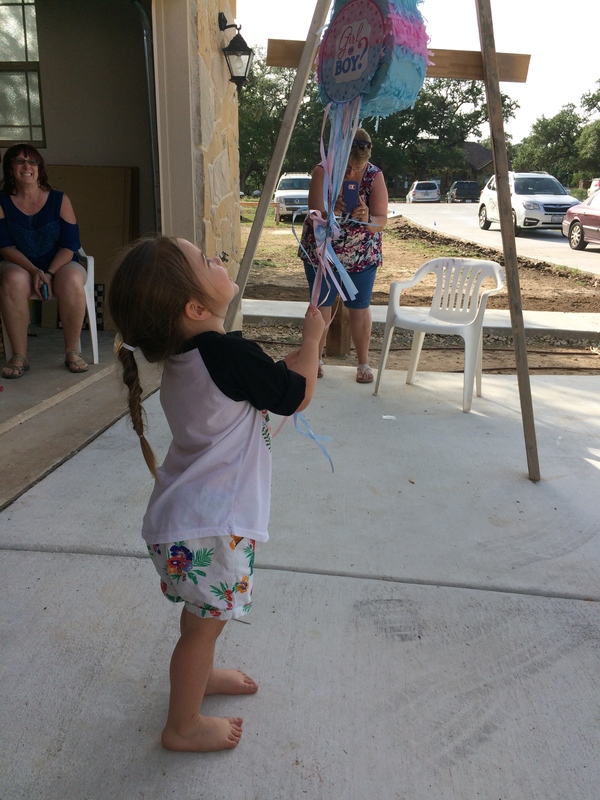 Later, we gathered in the garage and on the driveway (instead of on the rich smelling yard) and Scarlette took center stage to break open the gender reveal piñata. We watched with anticipation. And… Drumroll…. We’re adding another princess to the family. 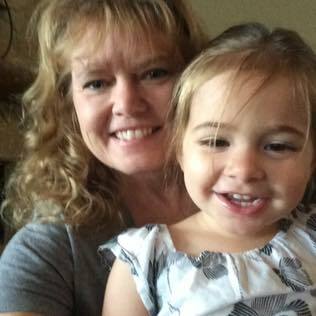 Charlotte Ann (what a blessing to have a granddaughter named after her great grandmother, Shirley Ann). Special thanks to all who came (and helped contribute to the wonderful meal) and to all those who tuned in live on Facebook. Jarred and his family headed out Sunday and Monday, but Heather and Scarlette stayed another week. We slowed down a bit more and enjoyed the hot Texas summer days in our back yard, in the shade of our oak trees. Heather and Scarlette head back home today. And we’ll get back to work. Our plan is to start with one room, finish it completely, then move on to the next. Not sure how long it will take, but we’ll keep you posted. 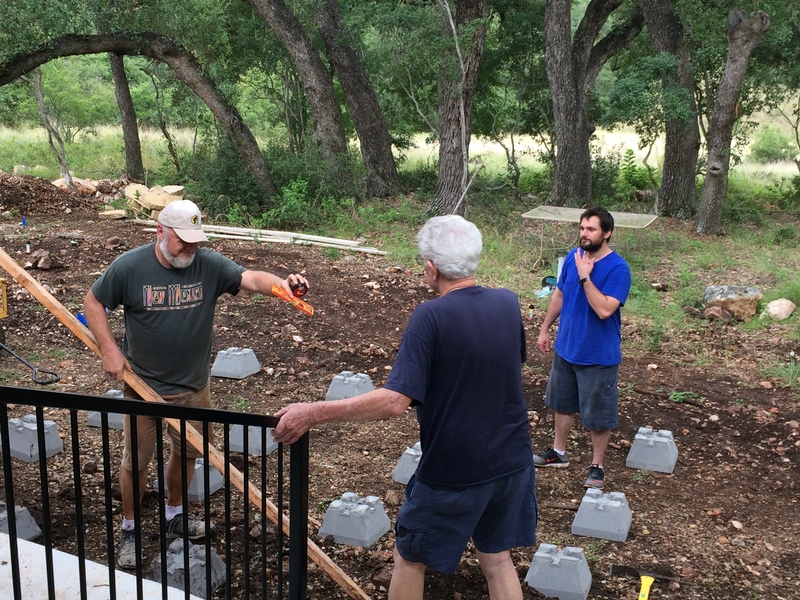 This entry was posted in Hill Country Living and tagged 84 Lumber, Country Living, Gage Greenscapes, River Chase, Texas Hilll Country, UBuild It. Bookmark the permalink.